Caramelized onions are a staple in my kitchen, but it takes so flipping long to do them right! 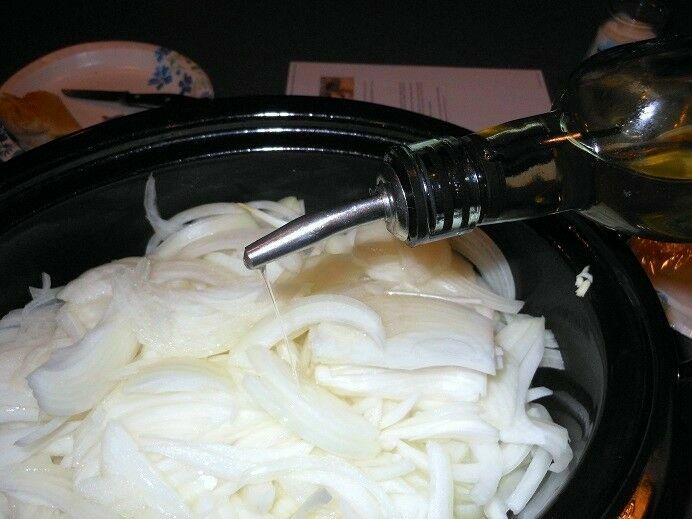 Recently, I spent some time looking up other methods for caramelizing onions and found many people have had good success doing them in a slow cooker, so I decided to try out the process myself. What I found was that, like most instructions for caramelizing onions, time estimates vary dramatically from kitchen to kitchen. 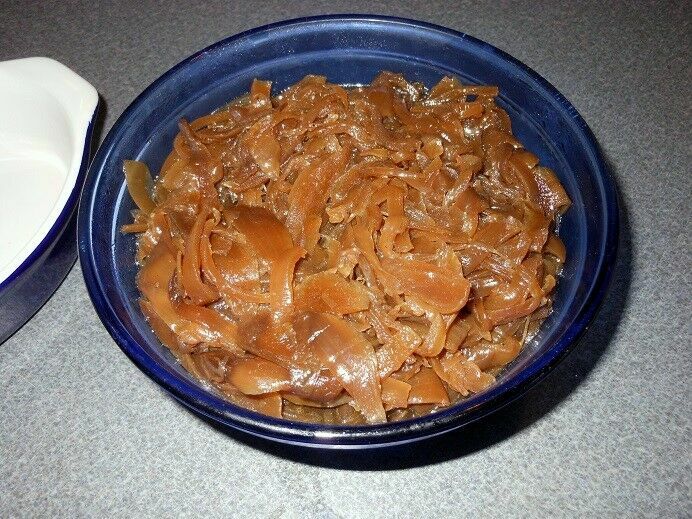 (Note: If you ever read a recipe that say you can “caramelize” the onions in 15 minutes, don’t believe it for a second! You can “brown” onions in that time, but it isn’t the same thing. 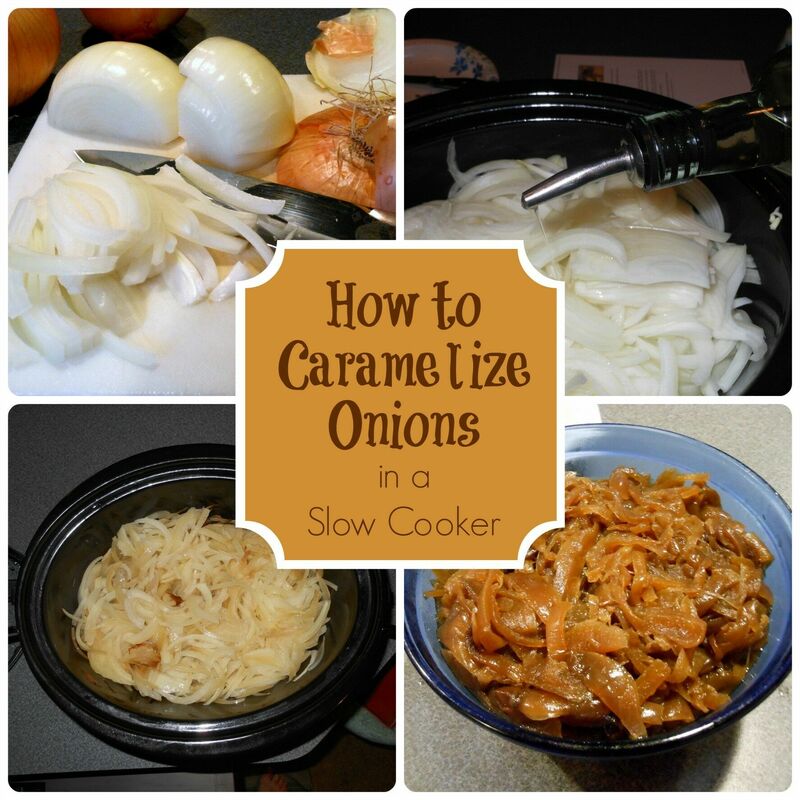 True caramelizing takes time – usually at least an hour on the stove-top.) 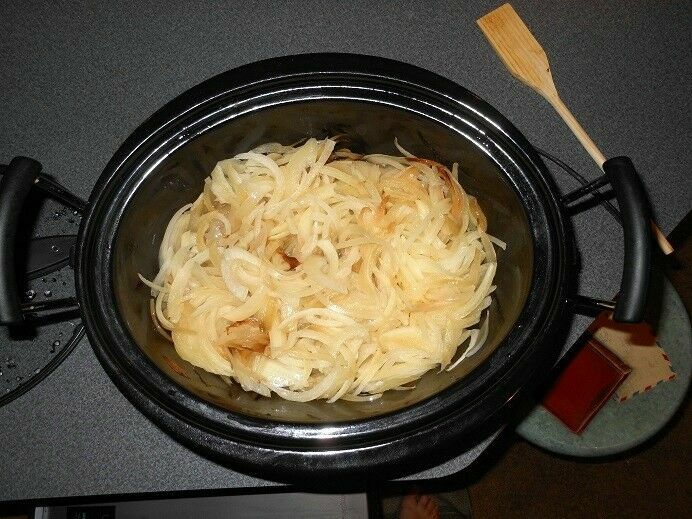 The majority of slow-cooker caramelizing directions that I found suggested that my crock-pot full of onions would be ready in 10-14 hours – mine took 24 hours, beginning to end. I’m sure that this depends on the size, make and model of your slow cooker, and the type of onions you use. 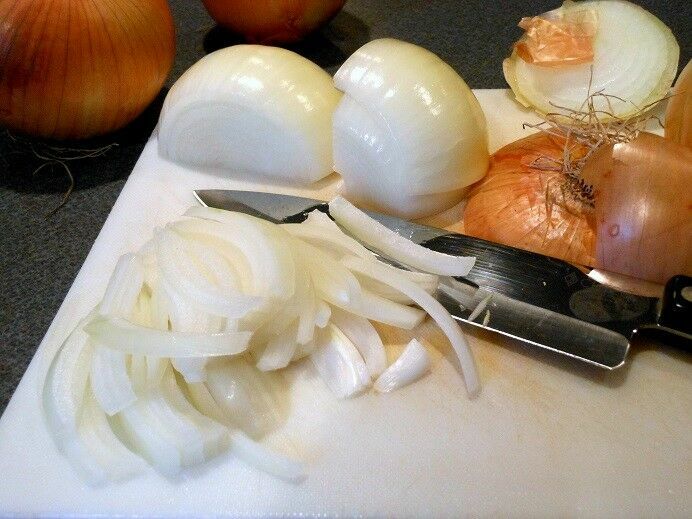 I used sweet onions because that is what I had on hand, but next time I will use plain yellow field onions, which is what I usually use when I am caramelizing onions on the stove-top. Yellow onions ultimately caramelize better for a couple of reasons: they are lower in water content, which will significantly speed up the process. This excess water is probably what accounts for the additional time it took for my onions to caramelize in the slow cooker this time. Second, while we perceive sweet onions to be sweeter, this has more to do with the fact that yellow onions have more of those pungent lachymators (i.e., stuff that makes you cry) than sweet onions, giving us the impression that they are significantly less sweet. The truth is that yellow onions actually have a far more complex flavor profile, and yield more flavorful caramelized onions. First, cut up your onions, from root to stem. America’s Test Kitchen did exhaustive tests on caramelizing onions, and found that they turn out better if you cut them this way. Fill your slow cooker about 2/3 full of cut onions. Drizzle on a little olive oil and toss them a bit. Cover and put on low. Stir once every couple hours. When they are the color and consistency you want, you can remove the lid and let them dry out a bit. This may take 2-5 hours, depending on how much water they have left in them.